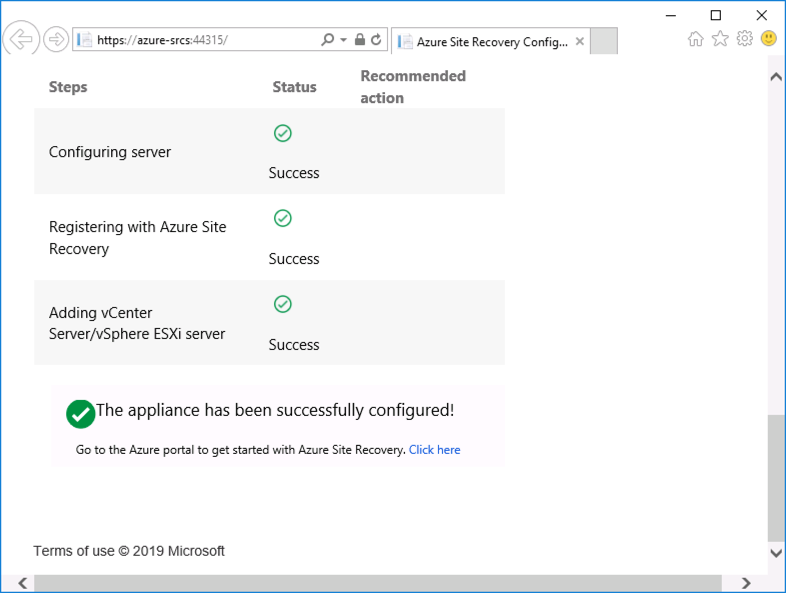 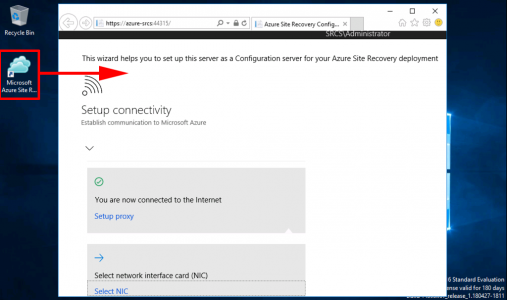 ASR (Azure Site Recovery) is primarily used to provide a ‘failover’ environment to be used in a disaster or major outage scenario. 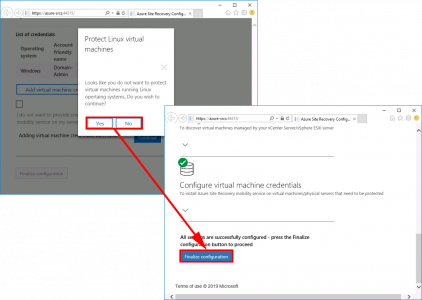 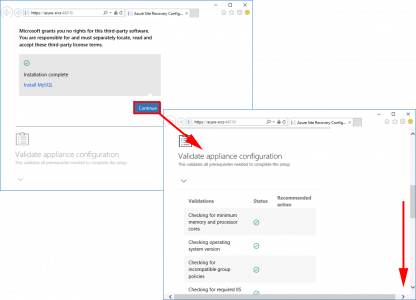 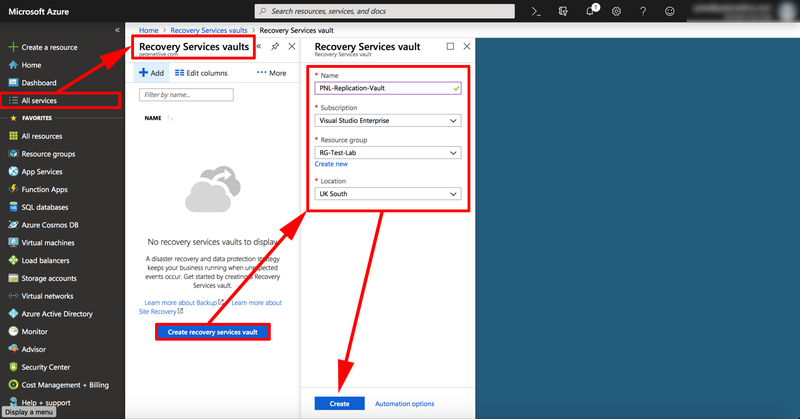 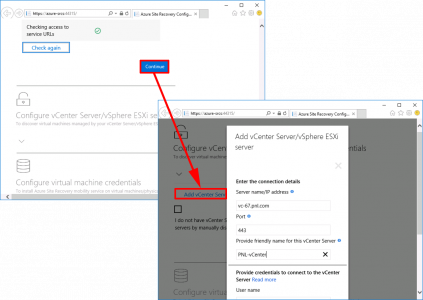 Essentially you deploy an Azure Site Recovery Configuration Server in your environment, then in your Azure Portal you create and configure a failover vault. 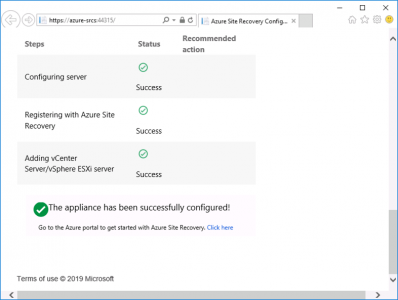 We are dealing with getting your machines replicated to Azure, and then failing over to them. 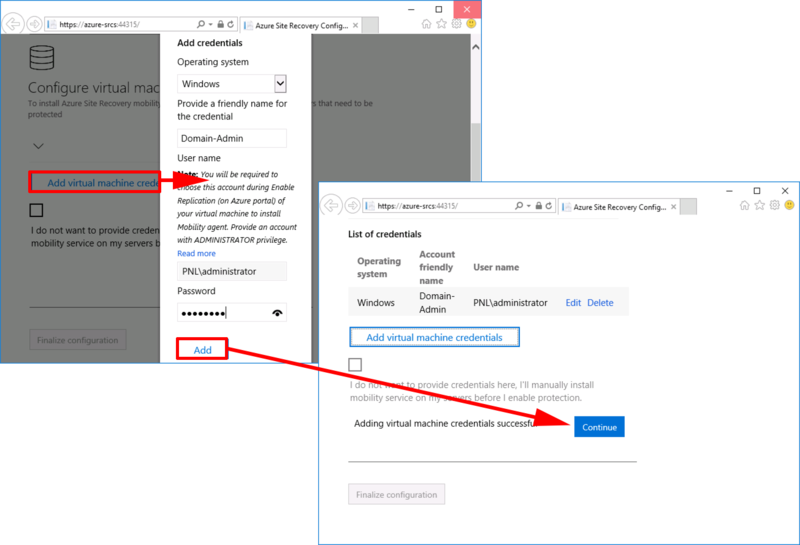 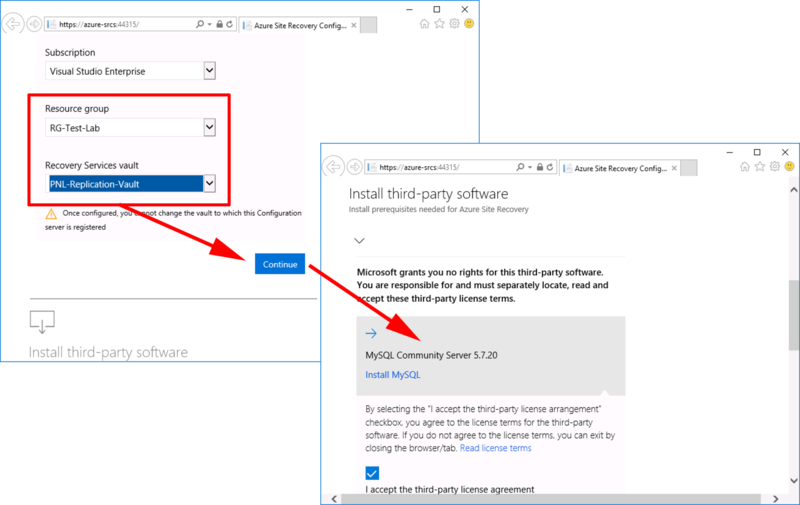 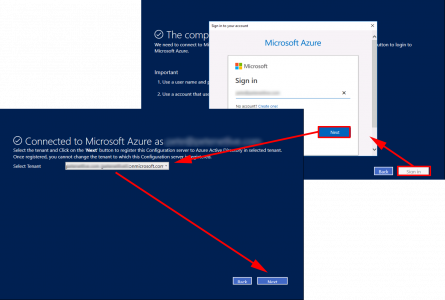 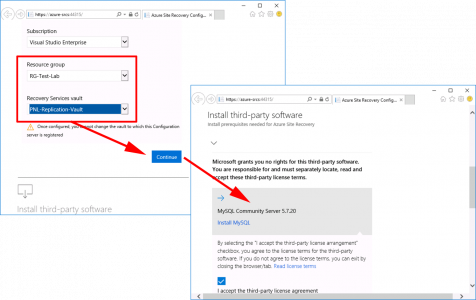 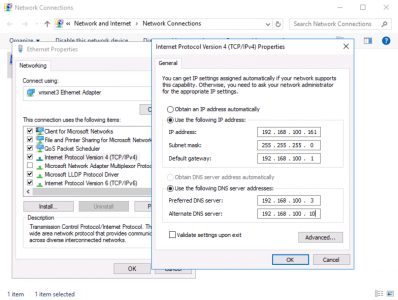 You will also need to consider how you will connect the them ‘Post Migration’ This is usually via VPN from your location(s) into Azure. (If you have Cisco networking equipment you are in luck, see the links at the bottom of the page for further help). 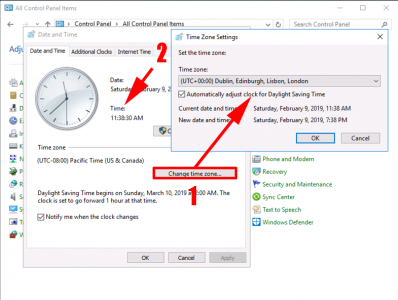 I’m making the assumption that you have already got this covered. 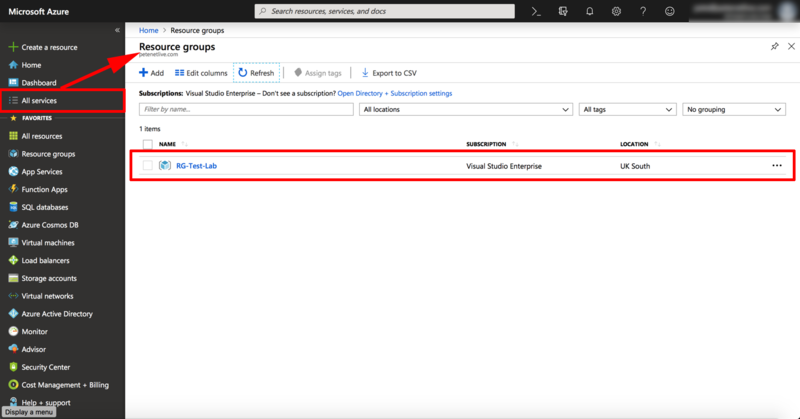 While the initial ‘work’ is carried out on your own site, there are a few things that will need to already exist in Azure before you start, you will need a ‘Resource Group‘. 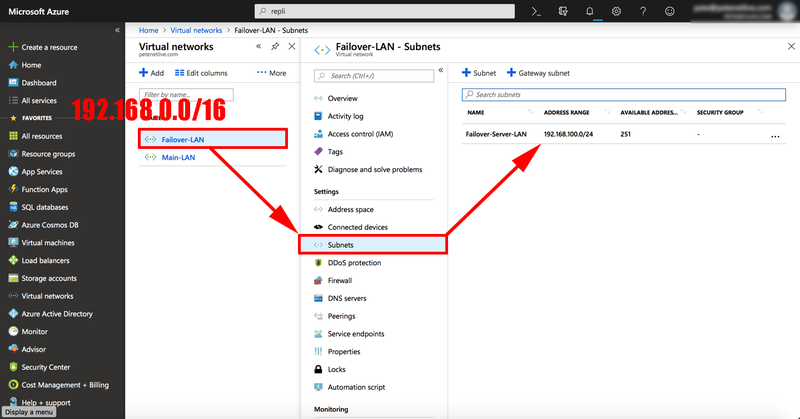 I’m creating a Virtual LAN, for Failover only, theres nothing to stop you using your existing Azure networking but you will need a ‘Virtual Network‘, and a ‘Subnet‘, here I’m using 192.168.0.0/16 and 192.168.100.0/24 respectively. As you can see I’m running VMware vCenter (6.7), you can also download an image for Hyper-V. Download the ‘appliance’ as an OVA image and deploy it into your VMware infrastructure. 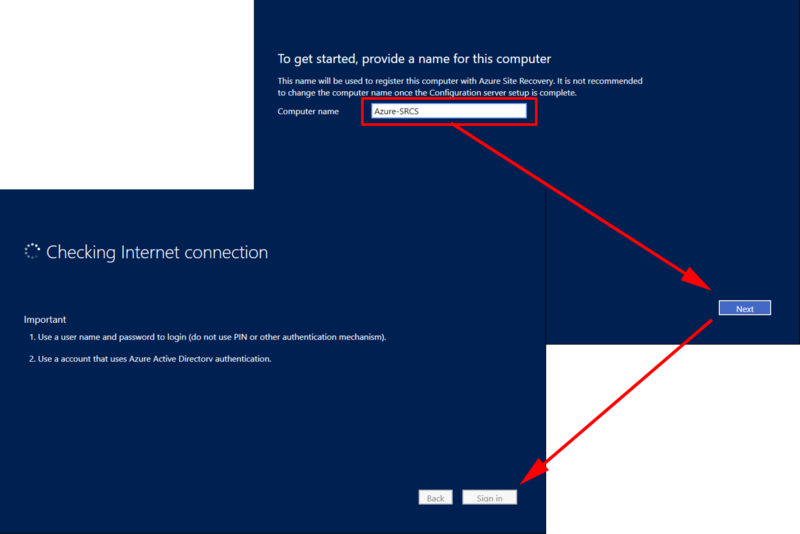 What you will get is a Windows 2016 server (on 180 day eval) as soon as it starts, it will ask you to set the LOCAL administrator password, then reboot, once rebooted, log in and this wizard will launch. 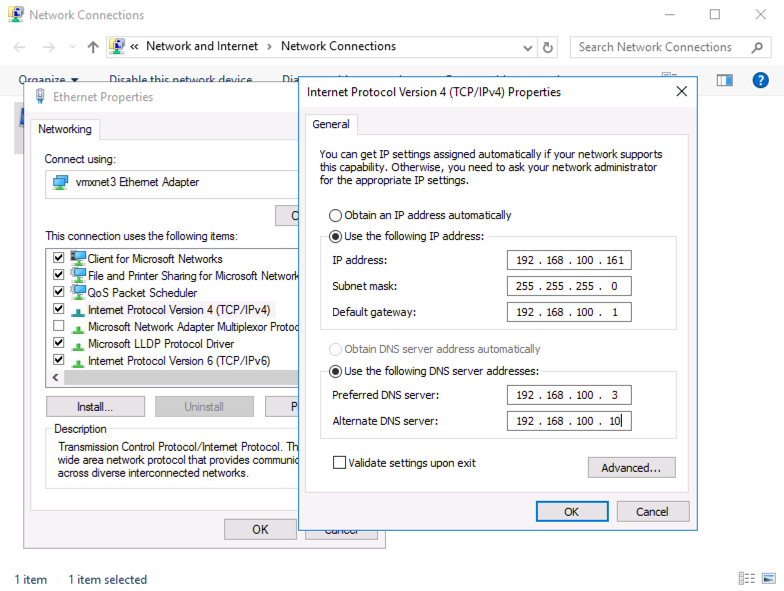 Give the server a name, and let it connect to the internet. Authenticate to your Azure Subscription. 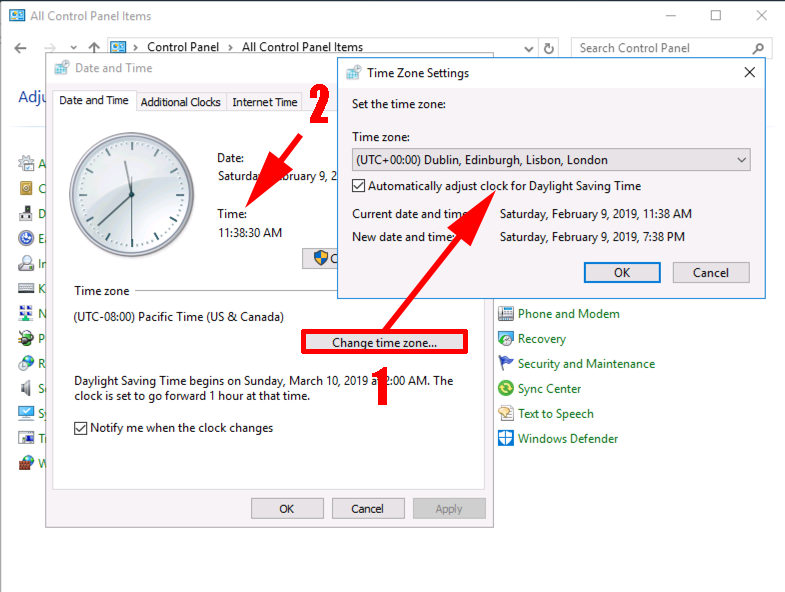 As usual, Microsoft assumes everyone’s American, change the Time Zone and ENSURE the time is set correctly. Continue > It will perform some checks, if any of them fail, then rectify the problem, and re-run the tests. 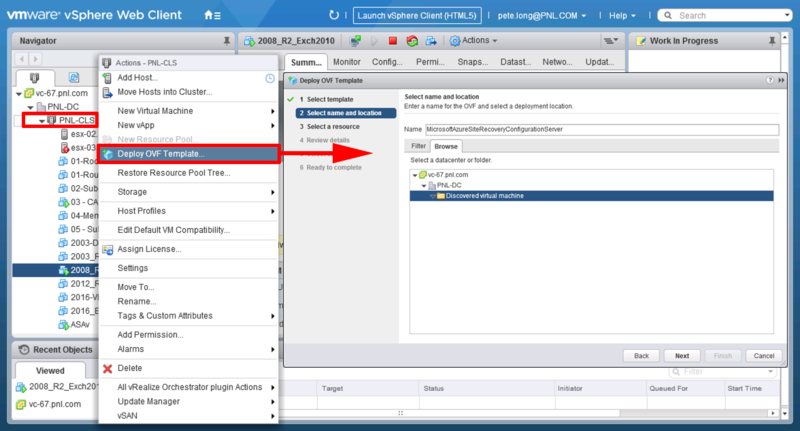 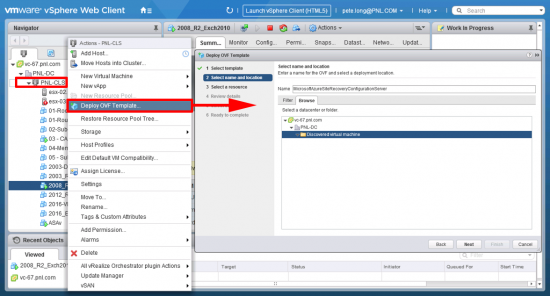 Continue > Enter your vCenter, (or ESXi if you have stand alone hosts) details. 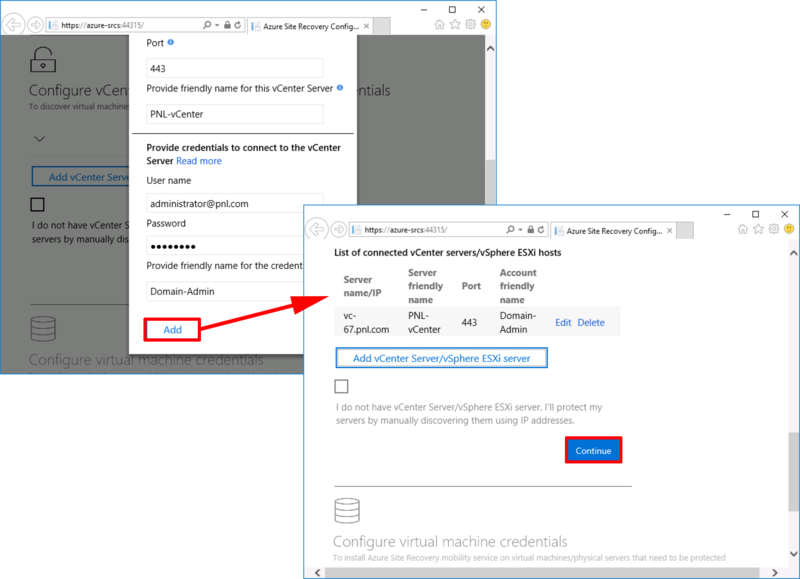 Add > Ensure the correct details are listed, and any other vCenters/ESXi hosts as appropriate. 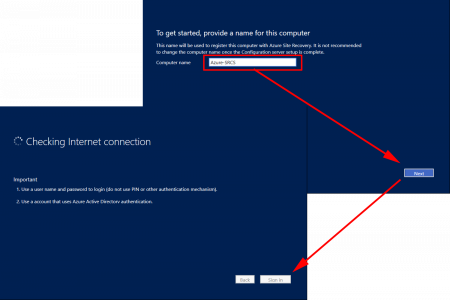 Add in some credentials, either local admin credentials for the servers, or some domain admin credentials, (currently) it does not like the UPN username format so use DOMAIN\Username format > Add > Continue. 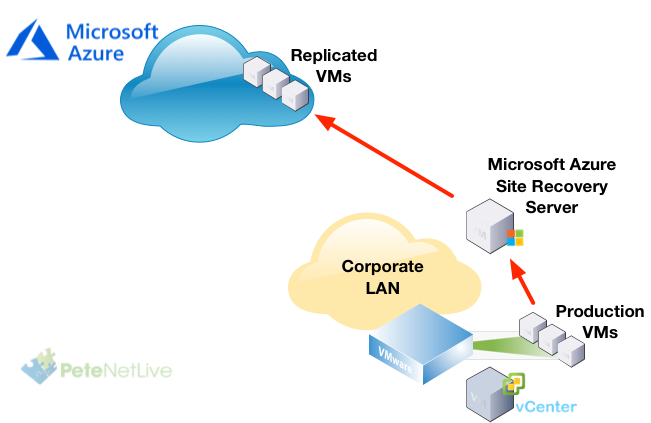 In PART TWO we will perform a ‘Test Failover”.